Is it time for kids to learn how to read the clock? Then, Telling Time for Kids – Games is the ideal collection of learning games for kids! Teach your kid to make a distinction between analog and digital clocks. Movable hour and minute hand and cute animal themed clock will keep the child's attention and make telling time fun and interesting. 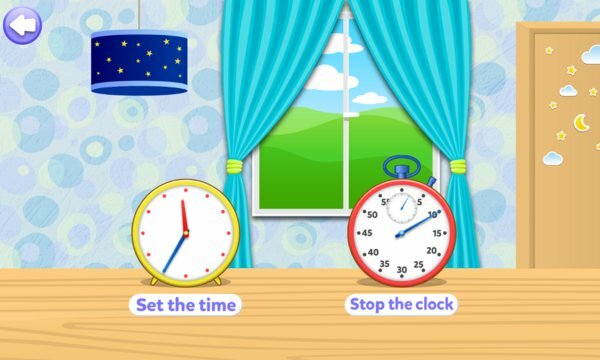 With Telling Time for Kids – Games your preschooler will learn to read clock in no time. Helpful learner centered kids games for 7 year olds are not so easy to find. Download Telling Time for Kids – Games and you won't regret it! It's time for kids, time for learning! ►We appreciate your opinion, if you like our game please comment and rate, give us feedback for further upgrades. Thank you! Telling Time for Kids – Games offers new and creative ways to learn telling time. Your kid will love it, and what is more important your kid will successfully learn to read clock and make a distinction between analog and digital clocks. Playing interactive telling time games is the best and easiest way to learn to tell the time. This collection of fun educational games for kids will be your savior. It will save you from hours and hours of trying to teach your kid to read clock and tell time. Interactive telling time games provide an excellent tool to teach your kid better. This is an excellent app for preschoolers and kindergarteners. A great brain gym for a young mind! It is very important to learn how to tell time and read clock before your kid enters school, and what better way than interactive telling time activities and interactive telling time games. Make the right choice, choose the best application to make a learning foundation for your child. Learning to count, that is learning the concept of notation before school is the most important aspect and component of preschool education. Use Telling Time for Kids – Games in the most creative way you can use kids educational games. Teach your kid the difference between hour and minute hand and how they move. Creative apps for toddlers can help you with that. Once the kid has learned the difference, you can start testing him. Choose a particular time, as the minute hand moves encourage your kid to press the stop button when the clock reaches the desired time. If the answer is correct you move on to the next task, if not, you try again. Or position the hands to set the correct time. Give three correct answers and you get a star as a reward. Collect five stars and you get a sea animal or a decoration for your virtual aquarium. The cheerful animated sea animals will keep the child's attention and make the game more interesting. At the same time the aquarium with sea animals will provide the motivation to collect all rewards. The more time your child spends collecting sea animals and aquarium decoration the more it will learn. It is well known that learning games for kids provide the quickest results. Learn through play with your favorite time telling games! 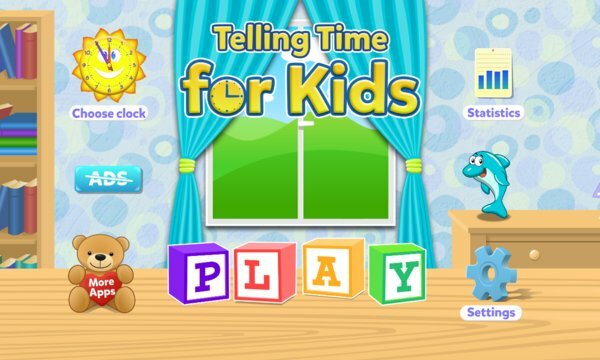 Download Telling Time for Kids – Games and enjoy your new interactive game for kids. Your kid will learn to tell the time and read clock in no time. Telling time for kindergarteners has never been more fun!